People having braces experience a white spots on the teeth after the braces are removed. The spots are usually around or just under area the braces were mounted. These spots affect your smile so in this article you will find the causes of these spots, various ways to get rid of them and ways to prevent them if you are having braces. The white spots on teeth are lighter than the rest of the enamel and might even have a completely different texture from the surrounding tooth so it can be easily identified. These white spots are formed where the minerals in teeth are removed. This worn out process is known as de-mineralization or de-calcification. Hollow structure that is whiter than the rest of the tooth might actually feel like eroded regions or indentation in the tooth. The spots are generally lasting although they can fade over time even without getting treatment. White spots even occur sometimes without having braces because of excess fluoride applied on the teeth. The white spots on teeth formed after braces are removed normally caused by the buildup of plaque. Plaque develops when bacteria are able to accumulate on the surface of your teeth. The streptococcus mutans and lactobacillus bacteria are mainly involved in dental plaque. These bacteria eat sugars and after ingesting sugar, they give off acid for 20 minutes. The acid dissolves the enamel causing a white de-calcification spot which eventually cause a cavity. The white spots formed after braces removal is the beginnings of a cavity. As the outside layer of the enamel is very hard due to being enriched with fluoride from tooth paste, food and water, the de-calcification starts below this layer deeper in the enamel. Once the de-calcification weakens the outer layer of enamel it will break through resulting in a cavity. 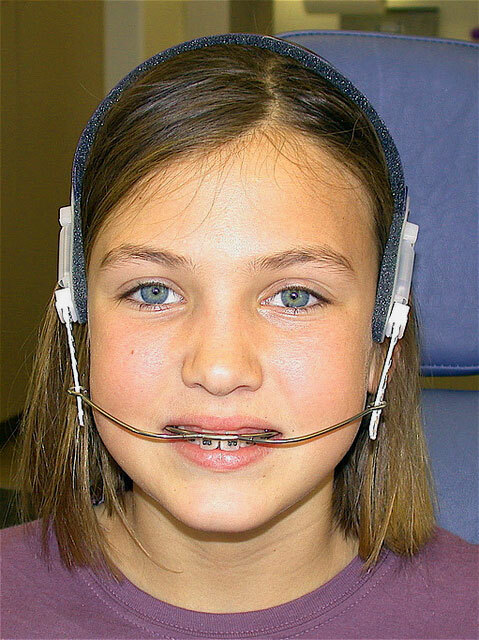 The brace facilitate this de-calcification process by providing new areas where the bacteria can hide and grow. The bacteria form a layer of plaque which ultimately begins to break down and remove the essential minerals required by your teeth. If not treated timely the white spots can actually turn into cavities. White spots can be prevented by brushing your teeth. Inspect after brushing. Besides using a regular toothbrush, you can also use an electrical tooth brush. Electric toothbrushes work very well in reducing plaque. If you don’t want white spots to be visible on your teeth permanently many treatments are there to either minimize or eliminate the appearance of the white spots. You can use these regular ways to get rid of the white spots on your teeth once the braces are removed. Important way to help relieve the problem is by observing good oral hygiene. Brushing and flossing daily benefits the teeth in two ways. Firstly the brushing helps to normalize the appearance of the teeth so that the white spots start to fade. Secondly by removing bacteria that could easily get into the demineralized areas and cause more damage or discoloration. Flossing is also important because it gets more of the bacteria out of your teeth. Veneers are a general cosmetic dental procedure that can effectively remove any signs of the white spots on teeth that appear after removing braces. These are flakes of a material like porcelain or a composite resin. The veneer has a totally natural looks. Dental veneer is a simple mean to get back bright and healthy teeth. The white spots on teeth occasionally sink below the surface of the surrounding enamel. If this happens, composite restoration is a dental procedure that uses a special type of resin to deal with the problem. The resin applied over the white spots mainly fills in the area so that it is level with the rest of the enamel. The resin can be colored to match the rest of the tooth. Re-mineralization is the most common way to remove white spots on teeth after braces. Re-mineralization involves applying cream or other substance to teeth for a set period of time. GC MI Paste is a specifically prepared paste that re-mineralizes the enamel. It refills the calcium and phosphate vanished by the plaque. Another item that can be prescribed from orthodontist is Colgate’s PreviDent 5000 Plus or Colgate PreviDent 5000 Sensitive tooth paste. Both deliver 5000 ppm of fluoride in a professional strength 1.1% Sodium Fluoride paste. Re-mineralization can cause the spots to fade or can eliminate them entirely depending on individual condition. Now it’s up to you to minimize the chances of a white spot development and keep your teeth free from plaque or cavity forming. Consult your dentist for selecting the best possible treatments given above.